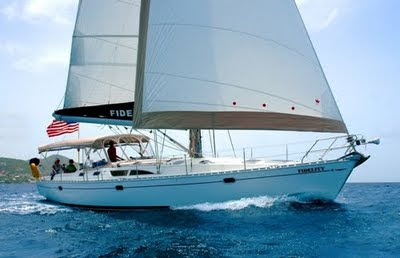 Sailing Yacht Fidelity is offering a 15% discount through October while they are in the Grenadines. Two AFT QUEEN-BERTHS (80" x 80") cabins with ensuite heads & showers, hanging and shelf lockers. One FWD QUEEN walk-around cabin (55" x 80") with ensuite head & stall shower, hanging and shelf lockers.